Felicia Breitner was born in the 16th distict of Vienna in 1921. At the time of the Anschluss she was still in high school. 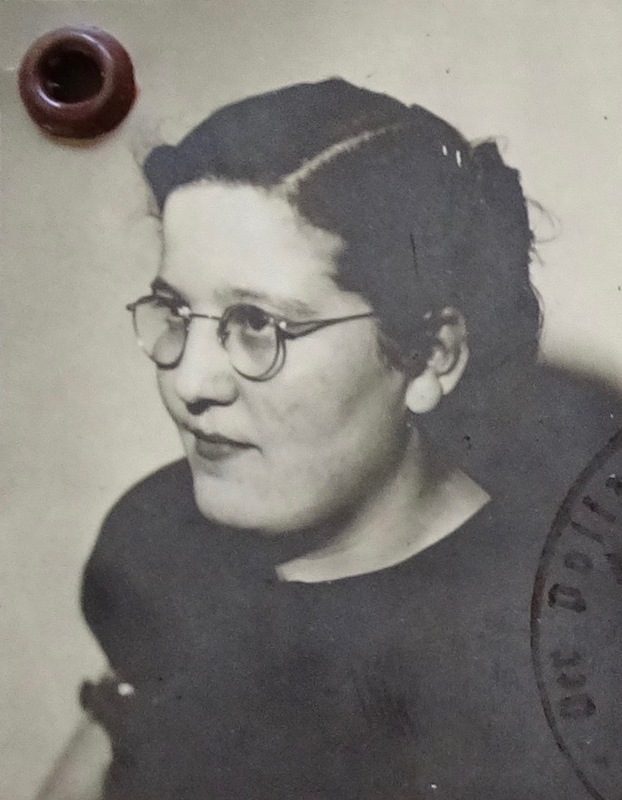 Her brother and her father were able to flee to Shanghai, while she was able to escape to England in 1939 to join her sister who had already fled. Her mother stayed behind and died in Vienna. Many of her family did not survive the Holocaust. Breitner trained as a nurse and a midwife, working afterwards in healthcare. 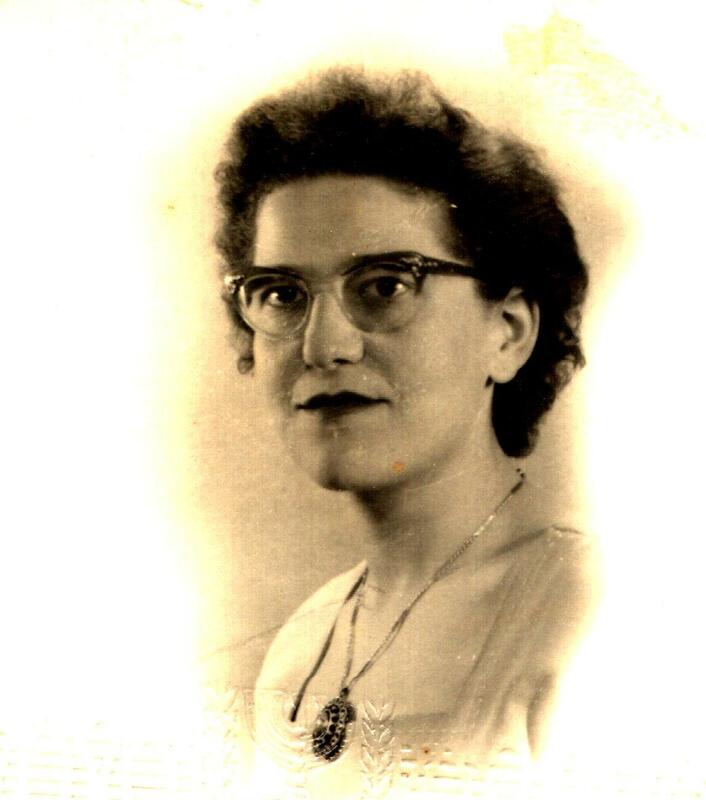 She later emigrated from England to Israel, where she lives today. Here is a chronological list of the places that feature in the life story of the interviewed person. “Talks about” are particularly interesting sections of the interviews curated by the editors of The Austrian Heritage. FB: Yes, that is right. It was also a usual thing to do. Towards the end of school was always in…beginning of July. I think the last school day was on 30th June, or around about that time. And we had a two-month holiday…so I remember my parents always went a little bit before that, a month before that, went looking around for a suitable place to go to. It had to be not too far from Vienna, it had to have either a mountain area, but it must have some sort of water supply. A lake, a little river or…you know. [Zählt an den Fingern ab.] Something like that, so that we could go…so this was the stipulations. And then I remember being…things are being packed-up in big hampers. We took our own linen with us and…clothes for all four of us. Now why had it to be in…had it to be not too far from Vienna? So that my father could come and visit us every weekend. So he left already on Friday afternoon, my uncle used to…carried on looking after the shop on Saturday morning. And he had a long weekend every week, which was his holiday and our pleasure to have us…"Papais coming! Papa kommt, Papa kommt!" And we went to the station to meet him and he always brought us the special things that we could not…we could not buy in the…in the village. Like a special cheese or a salami or…something like that. Surprises always he brought. So we had a great time, for Friday evening….And he used to take the early Sunday train…no, not the Sunday, the Monday morning train, of course. I mixed up the Saturday and the Shabbat. [Beide lachen.] And that was…that was great, to have him coming every weekend. And I remember from being very small, for example two and a half years old, we went to Kitzbühel. Kitzbühel then was not Kitzbühel of today, of course. But we were so happy there that the next summer we again went to the same place and we stayed at the same…sort of…there was a…I do not know what he was, but he had a small…no, no, I think we lived in a house. They rented…they lent…and we rented a small apartment in the Bauernhaus in Kitzbühel. And we were very happy there, it was great. I remember Kitzbühel and being two and a half years old. Because there was a terrific incident. We…my big brother was then four years older than myself…six and a half, a big boy. [Deutet mit den Händen.] And, of course, we were allowed to walk around under his supervision. [Hebt die Stimme.] And we were warned not to go to the little stream. It was called a Mühlbach. And the Mühlbach had very fast running water. Not all that deep but very fast, speedy water. It was…I went to the same place when I once went back to Kitzbühel, to have a look where this tragedy took place. So I was crying my eyes out because I had lost that handkerchief, which was terrible. And she, of course…I did not realize that…what she was concerned about. Me falling into that water…incident. And that is about one of the first things I remember in my life. It was very impressive. And I know I was two and a half because February to summer. Two and a half. --they kept that seat. And my father went on the big holidays. He always went to the synagogue, even all day long. And my mother also…on the high days, she used to go…but only…she was…and she used to go on the women’s part. And we visited the…when I was small, I could still sit next to my father and when I was bigger, we shared on the…together with the women. We went to synagogue for Purim, dressed up and the holidays, anyhow. Simchat Tora…and we also went to Saturday children prayers. FB: Gottesdienste. Yes. But we were not a religious family. LSY: You did not have a kosher household or anything like that? LSY: Did you ever experience anti-Semitism before the Anschluss? FB: Oh yes, of course. I mean the Austrians were always anti-Semitic…they were…not educated to be otherwise. Oh yes. Even though we went to the villages for the holidays and they knew that we were Jews, we had no difficulties there. We kept ourselves not to…pronounce our being Jewish. We had a quiet life, we did not interfere with anybody, we did not make fun of anything. In fact, when…until the age of…what would it be…we had a Christian girl, a Dienstmädel [Dienstmädchen] it was called, we always took her from a nunnery. The nuns took the girls from the country to get a bit more education and to find jobs, to work as housemaids. When we always went there…I remember and my mother used to pick a girl and she came home with us. We always were very happy with those girls. I remember their names until today. And, of course, she was living with us and always took us for walks in the afternoon, in the early evening and it was quite a good time we had with her. And she also went…well, I do not know that she went on holidays with us. Imagine when we were small…she must have done it. It did not occur to me just now whether she went with us or not. FB: --in school I knew exactly who was a Jew-hater and who was not. But in school they were not allowed to pronounce it. Except that we had one of the professors, which…in geography…he was teaching geography and history. And it was felt that he was not an admirer of the Jews. He tried…he tried to control himself and…but I know that I was never…I never got very good marks in either history or geography. And then, suddenly, in the sixth form, I think, it was…he felt ill, he had some operation, he was away from school for a long time and we got a replacement…a young teacher. And suddenly, I was blooming in both. [Hebt die Stimme, gestikuliert.] So why? Did I suddenly get so clever? But I was afraid of the teacher. Because I knew he did not like Jews. And I was afraid. So after fear, I was…I could not think properly and the marking he gave me was probably correct. And then, that young teacher suddenly made me realize that I am not all that bad. I know the answers in history and I like history and I love geography. So you see what a teacher can do. 1933: To stay or go? LSY: Do you also remember if you talked about it in the family, when the Nazis came to power in Germany in 33? Were you afraid that it will come to Austria? LSY: You said you do not want to leave? FB: We did not want. I know how…what my stupid brain said: "No, I do not want to go away. What will be with our grandmother, our grandparents and what about my aunt and my darlings?" [Greift sich an die Stirn.] I did not think far enough to say, "Well, if we are there, maybe they will also come." It did not occur to me. And I had too much to say, I was really determined. I was a horrible kid. And my mother sort of was not persuaded too much herself about leaving her parents, her old parents. Loyalty to running away and leaving the old parents on their own. And so nothing came from it. I was really stupid! And of course my sister was…33 she was…where was I in 33? Twelve years old, so she was fifteen and she was such a good student and she wanted to study. LSY: Wanted to do the Matura. FB: She wanted to go to university. And my brother was one year higher than her. And he also was near to the Matura. Not to have that was…and I had…from the age of twelve I knew I wanted to study medicine. So I also did not want to leave school. So nothing came of it, unfortunately. LSY: So after the Anschluss, you tried to find opportunities to somehow leave Austria? FB: Well, we tried our hardest to get out and it was not a small process. Because first of all, we were concerned to get the men out. And my mother was running into the cities day after day to try and find a visa for my father and for my brother. Because my brother had been arrested on the Kristallnacht, on the November 11th and he was arrested ten days or fourteen days even in the Kaserne…under very bad circumstances. And because my mother had achieved a visa to China, to Shanghai…they were taking people in. Because of that he was allowed to go home right…signing a paper that he was not going to talk about his experiences and to get out of Austria within a fortnight. Well, it took just a little more than a fortnight and he was out. Of course, he had to find a ship to transport him to…from Italy. We had to find a lot of money for the ship’s ticket and for supplies to let him have to take with him. That was still allowed. And it took a lot of cash to find when the shops were closed, we had no income, we did not have a bank account that would suddenly give us enough money to live on because it was…the bank accounts were closed. We were allowed to take so much and not more. And…well, it was a big job for my mother. But she achieved this and my father…my brother was on the way to Shanghai. So we thought he was in safety. So, immediately after that it was…as a parallel actually, my father…meanwhile, she also got a visa for him and meanwhile it was hide and seek for him. He cannot stay at home because they were collecting men every time, everywhere they could. So during the day he was walking in the Vienna woods as far as…changing his positions all the time and at night he would sort of crawl into…either his mother who lived at the edge of the…im Liebhardtstal.That was already the edge of Vienna. Or to my other grandparents or to members of the family who lived in a place where he could have a night sleep and have a shower, a bath, and some food. It was a terrific…it must have been very hard for my father to live in fear that he might be…picked up here or there or wherever. And sometimes he sneaked home for clothes, a change of clothes and so on. It was not easy. So then he was the second one. My brother left in February. FB: At the end of January I think it was. I am forgetting now. 39, yes. And my father left in April. FB: Also to Shanghai. When my brother came to Shanghai, he was already trying to speed up…he was already there. And it was good, because my father could…in these letters he described the long journey…he was a good writer. He should have been a writer. The journey and the experience on the way there and his impressions and the food, the wonderful food after, we had not have food…good food quite a long time before that. Food to exist on, but not anything else. And he came onto this boat and they had this luxurious food and plenty of it. And in one way he was so happy about it, on the other hand it broke his heart knowing that we did not have and he could not get us some of that good food. LSY: When did you for the first time visit Austria again? FB: --in Israel, in Tel Aviv. FB: Pensionists. I went with them and I had a good time in Austria, also a few days in Vienna. LSY: But was it also difficult for you to…the first time when you were in Vienna again? FB: Well, yes and no. I found Austria very different from the Austria I left. On the other hand I felt like…first I felt like a tourist. I did not feel at home. I went to visit all the places I knew and where I lived, my grandmother’s house and that was very upsetting to see…going into my house, in our house, both grandmothers’ houses. It was very annoying and I did not dare to go in. I just did not dare, I looked at it from above and I could not do more than that. LSY: Did you have any conversations with Austrians there about the wartime? FB: Well, yes I did. I had been to Germany before that, or in between, also to Germany and we stayed three months in Germany because my husband was sent there for shipbuilding. He was at that time in shipbuilding. He was sent there to learn more shipbuilding, for boats for the police here. And we were in Bremen and we had to live somewhere, so we rented a…a little flat…a little…it was a little living room, a bedroom and a kitchenette. They were very nice people as it goes. But, of course, when she had to be in the productive line in the war, it was not…she had to go, there was no choice about it. Which I believe and do not believe. But I…about no choice, I do believe. And she said: "We did not know what was going on. They did not let us know anything. We heard about things which we thought were impossible, they were just rumours. We never really had…" You know, they all said the same: "It was not our fault, we were forced into it." Well, some of them were, some of them willingly went into it. And her husband was in the…was a soldier in the war, but he was injured and was very soon sent home. Well, I wanted to believe that as well. I wanted to believe that as well! Because it would have been harder for me to think that they were all Nazis. They were very nice to us. Very nice…behaved nicely. So that was that. LSY: --your citizenship…you got the English citizenship? FB: Yes, citizenship. What is it called? Well I got a British…I became British. LSY: Interview with Felicia Breitner on March 26th, 2014, interviewed from Lisa Schulz-Yatsiv. Can you, first of all, tell me a little bit about your family, your grandparents if you still knew them, where they came from, how your family got to Vienna? FB: Yes. Well, there is a lot to talk, a lot to tell. So please stop me when it is getting…running overboard. Because there is a long time over life. So, I was born in February, the 14th of February 1921, in Vienna, in our apartment. As it was usual at the time. Not in hospital. And I am the third child in the family, I had a brother four years older and a sister two and a quarter years older than myself, so I was the third child born. My father, Robert, was running his father’s family business of Leather en gros and Retail it was called and although he did not want to be a shopkeeper, so to speak…but it was a well-running business and my grandfather insisted that my father, the last adult son left in the family…that he would take over the firm until the smallest in the family, who was still in school, would take over or run it together with him. My mother was only a housewife. Until she was married, she was a…what would it be called now…a secretary in a Jewish firm of…I can't remember even what it was. And my grandparents, of either side…my father for example, they lived in a what was called then a very good living…in a villa on the outskirts of Vienna and he was take…he had his own…how would we call it…it was called…Zeigel. That was a small carriage with one horse and a Kutscher to drive it. And he was taken to work by his caretakers, so to speak. He was…he was fetched in the morning and brought home for lunch and the rest, and was brought back again at lunchtime. So, that was then called a good type of living. He died in 1924 when I was only three years old. Three and a half. And, so to speak, I did not know him. I only know what I was told at the time. My grandmother was always a housewife but they had quite a number of children and my grandmother must have had a very sad life because we never…actually I can only gather now it must have been very sad because as children we never asked questions, we were never told. Only the rough details…there were two children born. The first two children both died of diphtheria and the next two boys were in the army and were killed in the war [Erster Weltkrieg]…both of them. And the next was a girl born…and then my father and the last one, Alex, who was still in school. To have lost so many children must have been absolutely terrible. And then her daughter left Vienna after 39…in 38, so another one of her children torn away from her. And my father, who had to leave Vienna as fast as possible…to get out of Austria and he went to Shanghai, so another of her sons disappeared. And the youngest with his wife went to Trinidad. So this poor woman was left at the age of 76, completely on her own except that my mother took her in with her. She was the only one left in our family, too. And…as much as possible looked after her. But in 41 she was taken away, sent to Poland. Not into a camp. [Hebt den Finger.] She was sent to Poland and there she died of hunger and cold, freezing to death in a…with a very, very poor peasant who does…did not have enough to eat for his own family. So this unfortunate woman had a most horrible death to get through. FB: It was terrible. And this child was sent to the…to Poland. Also not to a camp, also to poor far…peasants, and they had the same horrible death as the other grandmother. They had nothing to eat. I remember, I was told that she had written one letter, my father told me…I think she wrote to them one letter to indicate in…what a type of life they had there. They were starving to death, they were frozen, they had no…practically no roof over their head. The mud in the streets was knee-deep. [Zeigt auf ihr Knie.] It was winter, it was…They were together, the parents and my little cousin. They were together and they died together the most horrible death. FB: Yes, that is right. It was also a usual thing to do. Towards the end of school was always in…beginning of July. I think the last school day was on 30th June, or around about that time. And we had a two-month holiday…so I remember my parents always went a little bit before that, a month before that, went looking around for a suitable place to go to. It had to be not too far from Vienna, it had to have either a mountain area, but it must have some sort of water supply. A lake, a little river or…you know. [Zählt an den Fingern ab.] Something like that, so that we could go…so this was the stipulations. And then I remember being…things are being packed-up in big hampers. We took our own linen with us and…clothes for all four of us. Now why had it to be in…had it to be not too far from Vienna? So that my father could come and visit us every weekend. So he left already on Friday afternoon, my uncle used to…carried on looking after the shop on Saturday morning. And he had a long weekend every week, which was his holiday and our pleasure to have us…"Papa is coming! Papa kommt, Papa kommt!" And we went to the station to meet him and he always brought us the special things that we could not…we could not buy in the…in the village. Like a special cheese or a salami or…something like that. Surprises always he brought. So we had a great time, for Friday evening….And he used to take the early Sunday train…no, not the Sunday, the Monday morning train, of course. I mixed up the Saturday and the Shabbat. [Beide lachen.] And that was…that was great, to have him coming every weekend. LSY: What memories do you still have from your school, from your Volksschule? FB: My school life…well, I was always in the footsteps of my sister. I adored my sister. She was my idol. She was prettier…in my mind. She was prettier than I, she was so clever. She was in school, she was three years above me. [Zeigt drei Finger.] Because she was born the end of October and still squeezed into the previous. Whereas I, for February, could not be squeezed into September school. And she took care of me. She was in the fourth when I started in the first class. She was my big sister. [Betont dies.] She had beautiful long hair and I had scrubby little bits like I have today. [Deutet auf ihre Haare.] Like my mother. And my sister had wonderful long plaids…like my aunt. She had also beautiful hair. And I wasn’t ever jealous of her. I was always so proud of her because…because of these things. Well, we went four years into primary school. I remember, in the first year I was suddenly very afraid of something and I started crying in class. And my teacher said, "Go to your sister’s class." And I knocked at the door and they let me in. I was crying and then they called my sister to come to me and she talked to me and I went back to class and everything was okay. We did not go to…middle school it was called. Like the…what it is called now? Well, it is middle school anyhow. The lower middle school and the upper middle school. [Deutet nach unten, dann nach oben.] And we did not go to the same school because her school suddenly stopped taking girls. It was carried on as a boys-only. So she was still in a mixed class, but they did not take any girls anymore. So I had to go to another school. Which was quite a long way from home but I went by…on foot. Every day, even though it was quite far away. Because it would have been to complicated. I would have to take two trams to get to the school. LSY: In which district did you live in Vienna? LSY: And where was your school? FB: Mine was also in Ottakring, her’s was in Hernals. Which was very much closer to where we lived. What can I tell you about my school life…it was not very dramatic. I was never a top student but I was always in the higher middle. I was a bit lazy, you know. My sister was a brilliant student. I was not, I never had any…she was always better, anyhow. [Gestikuliert mit der Hand.] So I did not have to…I liked to have a social life at the same time. I was crazy about…with my best friend. We did our homework and we went for walks to the Burgtheater and to the opera and…go and see the actors coming out of the Bühnentürl [Bühneneingang]. But that was…I was much more interested in doing that than sitting at home studying. FB: --no. I cannot say mostly. Well, our family friends were…quite a few of them were Jewish. My best school friend was Jewish. Another school friend was also Jewish and I was in contact with both of them. One went back to Vienna – both of them are dead by now – and one went via England to the States. I visited there and she visited here and we were telephoning…not so much writing. It was quicker to ring up and have the voice. [Lächelt.] And…no, I had non-Jewish friends as well. And the teachers…I had the…the Klassenvorstand was a Jew and we all loved him. He was a wonderful teacher. He was for German and French. And in his private life he was translating French books into German and he was on the Radio Vienna, Radio Wien, in the book…what would he call it? Book-Hour. And he was always talking about French authors, French writers and French books. And he was our French teacher and he was a very modern French teacher. He taught us with…in comparison to others. He taught us with discs to get the right accent. And little plays. He made life pleasant and to learn French, it was…it was a pleasure, really. And…well, I was crazy about him and my friend, too. He was a wonderful teacher. And…what can I say? We went walking…we went for…for walks, Paula and I, to…it is quicker than to say "my friend, my friend”. Paula and I, we went to where my teacher lived, and we stood in front where he lived in a very nice house in Zeltgasse. A very small road, I think it had three houses in it, that is all. Zeltgasse 1, huge building. [Zeigt nach oben.] And we knew he lived on the fourth floor and that was his flat and we stood there admiring that house and maybe he will come out and what would we do if he saw us? Crazy like that. And in the same house, to add…lived one of the best Burgtheater actresses, Maria Eis. She was a wonderful actress. She’d be Mary Stuart and all those…Medea, and all of the horrible women in the place, always the bad characters. Although Mary Stuart was not a bad character, but it was hard to play. Anyhow, Maria Eis was a…terrifically well liked actress. LSY: So you also went a lot and watched plays in the Burgtheater? FB: Oh, yes, yes. The little spare money we had, and it was very little, I augmented it by giving lessons to smaller children and that paid…there was a little Jewish boy, living almost opposite us. And he was not very bright and his mother asked me to teach him. He was then a kid of eight…eight or so. And I was no more than fourteen. But I…She wanted me to help him with his three “A” ’s, like we called it: The reading, writing and…what ever else. LSY: So apart from the Burgtheater, what were…like your favourite places in Vienna, where did you like to go? FB: Well, when we were small children – I am glad you asked me that –, when we were small children, every Sunday morning, to give my mother a rest, our father…I mean “every” with exceptions, of course. My father took us for walks into the city or even outer districts. And we asked him all sorts of questions and he could answer most of them…in my mind all of them. Names of roads, why is it called this or that or the other. Who was Koch…and things like that. And he was explaining to us, and the things he did not know, he made it up. And it was for me as a small child, that was…good enough. I did not know any better. But he also took us to museums. They were free of charge on Sunday morning and we often went over to the Technical Museum in Schönbrunn. We loved going to that. We could not get away from it. I remember till today the things I saw there and in the Natural History Department [Naturhistorisches Museum Wien], you know…I see the…the skeletons of the most impressive…it was very interesting. He took us to all the museums…one by one. And I thought it was a wonderful occupation for a Sunday morning. And my mother was left alone to her rest. Food was ready for Sunday…and then in the afternoon, every Sunday…it was a routine. One Sunday afternoon we went to one…to grandmother, to Großmama Beck, my father’s. And the next we went to my mother’s parents and, of course, we had to go and visit Großmama Beck and we ran to see Großmama…Großmama Pieck, my parents…we loved her. She was such a lovingly person and she loved us. And she always made us welcome. And that was the grandmother we spent the holidays with as well together. So, until we were big enough to go for hikes on a Sunday, we had to go…and visit her, ever so often, even when we were already going on hikes. Because one had to, it was your grandmother and you had to go. LSY: Just on the grandmother’s side. FB: I would not have dared to do that, but we pinched on…we helped ourselves to fruits and there was plenty fruit on there. But my grandmother also made jam and what was called Eingelegtes. That is whole fruits made into syrup…into syrup. We did not eat all the fruit, there was always plenty left of peaches and pears and the berries…raspberries and all those…whatever there was, we pinched it. And the very bottom of that garden, there was a sort of…there were two big trees. One was an oak tree and one was a Kastanienbaum. What is that in Hebrew or in English? FB: No, no, not at all. Not at all kosher. But we had Sederabend, both of them, two of them. And we always were allowed to invite one…one child. Once from my sister’s school…a poor child who would not have a Seder at home. And on Sederabend we…and Pessach…I mean and New Year, Rosh ha-Shana we also…all the big holidays and we had…we had…not because of being kosher, but we had the best crockery and cutlery and glasses, the best…it was holiday and beautiful tablecloths and we had to feel it was a holiday. And we ate mazzot. My parents said, "While you are children, you have to know what it is, what it means to be Jewish. When you are grown up, you can do whatever you like." And I was looking forward to the age of twelve because my sister, when she was twelve, was allowed to fast for half a day for the first time, so I, of course, was looking forward to that, too. I was so proud of not having to go to school. [Hebt die Stimme.] It was an ordinary school day, of course. Not of course, but normally it did not fall on the Saturday. And to be dressed up and not to have…to be allowed not to eat and everyone would have to know about that, "I am fasting, I am fasting!" Until lunchtime. And after that I was allowed to eat. What else can I tell you? And the Latin teacher also…he made sort of…he thought he was funny but he was really mocking. And I had to do…my sister was brilliant in Latin and she helped me a little bit with Latin. So I was not that bad either, but I had to work pretty hard to please the teacher with my knowledge. So, those experiences we did have. And then in the last year, in 38, then, of course, it came out. They were…suddenly, they were all Nazis and did not want to have anything to do with the Jews. Not all of them. There were some very loyal ones. But the majority of it came with the right stockings on. I was in an only-girls-class. My sister was in a boys-girls-class, but we were in boys-classes and girls-classes. I went to Realgymnasium. And the boys were more on the “real” side…on the realistic side…and the girls were more on the humanistic side. And what can I tell you about that? LSY: Do you remember exactly the day of the Anschluss? FB: Yes, I think it was March 13th. LSY: How did you realize what was happening? FB: Through the radio…we were close on to the radio and we heard this and it was like: "Wow, what about us?" It was…a world had collapsed. And of course we were pretty fast in…what is it called…blow me, I do not know the word now…take away the shops and occupying and stealing as much as they could and coming to the houses and throwing out the books out of the shelves and burning them on…that was…horrible experiences. But that was in…ja, soon in 38. When the Arisierung…that was the word I was looking for. Arisierung. And then they threw us out of school, of course. And that was so near to finishing school, to be taken away from your surroundings, to be pushed into another school…not with Jewish teachers. The ordinary teachers that were in…because the teachers were thrown out of their jobs. [Hebt die Stimme.] All the Jewish teachers were not allowed to teach anymore. So, of course, in the other school we also had Christian teachers, but to have to get used to different surroundings, different school mates from all sorts of schools, different levels…it was very hard to…get yourself together. And then you start not taking it serious. In any case they will not let us. [Winkt ab.] And we used to…with other Jewish kids, we used to skip school. I think that would never have occurred to me ever…in school, not to go to school. So about four of us, two boys and two girls. Instead of going to school, we went to the Prater, into the Prater Au or whatever else. To be together…young people and having fun and coming home sometimes even far later than from school. FB: Balaton. In Aszófö. It was a small place opposite of well-known place of…Balatonfüred…which was a well known place. It was sort of opposite us. Well, the camp was a pretty strange thing to me. We had to fill our straw sacks to…as mattresses. And it was a broken-down factory where we had our camp. And we were in different groups of sleeping, boys were there and girls were there and so on. LSY: You also learned already a little bit of Hebrew and about Israel? FB: Yes, as discipline of course. We had a roll call every morning and we had to be there on time and we were taught Hebrew. I mean, how much you can learn Hebrew in a…how long was the camp? Maybe three weeks or something. Not more than three weeks. I learned a few words. A few sentences, which later on I forgot again. FB: --no, then I was not…they broke up somehow. It had to…it was broken up. Because some of them really did go to Palestine, out of the group. Those who had been in the movement for longer or were Zionists in their families. We were not Zionists at all. We were not…not Jewish as such, carrying out…apart from the holidays, the high days. And we were not Zionists. In fact, we were anti-Palestine. As far as…not its existence, but for us going there. We refused to go to. We did not want to break up our being in Vienna. It could not happen to us…sort of thing. What in the end did happen to us. I lost about eighteen members of the family. And…well, it was a big job for my mother. But she achieved this and my father…my brother was on the way to Shanghai. So we thought he was in safety. So, immediately after that it was…as a parallel actually, my father…meanwhile, she also got a visa for him and meanwhile it was hide and seek for him. He cannot stay at home because they were collecting men every time, everywhere they could. So during the day he was walking in the Vienna woods as far as…changing his positions all the time and at night he would sort of crawl into…either his mother who lived at the edge of the…im Liebhardtstal. That was already the edge of Vienna. Or to my other grandparents or to members of the family who lived in a place where he could have a night sleep and have a shower, a bath, and some food. It was a terrific…it must have been very hard for my father to live in fear that he might be…picked up here or there or wherever. And sometimes he sneaked home for clothes, a change of clothes and so on. It was not easy. So then he was the second one. My brother left in February. LSY: Did he also later then write about their life in Shanghai? LSY: --where did they…where did they live there? FB: Well, they lived in an area, not a very good…it was a Chinese area…all amongst Chinese. But they had a…the Jews found themselves, of course, and made a small group and I think they even had a synagogue there or a improvised one at least. Yes, they had contact with other Jews as well. And, in fact, he found his wife there. Also from Vienna. She was only…he was eighteen and she was only fourteen when they met. LSY: [Lacht.] She came to Israel? FB: "To fight in Israel." I said, "Little girl, I am pleased to see you, but there is no more fighting." [Beide lachen.] And she came with an Australian hat and khaki wear and a Rucksack and that is it. And she stayed. And not much after she married a Jewish boy who came from France. He had been here in Ma'agan Micha’el Kibbutz…Ma’agan Micha’el. He had already been there for a year or so. And when she came here, she stayed a little while and I wanted her to…it was not an existence, just living with me. What should I do with her? So, through my husband’s family…he had a sister in Ma'agan Micha'el. They made it possible for her to come to Ma’agan Micha’el in the Kibbutz, in the…like an Ulpan. And there she met Hubert from Metz. His parents came to Metz from Poland. And there were already quite a long time in Metz. And he was…he had one sister…they were born in Metz. So they spoke French. A very nice man, he was a wonderful husband for her. As long as he lived. He only died about…a couple of years ago. Here in Israel, of course. And they had two daughters. With both of them I am in good contact. They, of course, have their families. One lives in Modi'in and the other in Rischon. They both have two small children, which I am in contact with as well. They just sent a birthday card, this morning. FB: The little one is four years old now. This morning… she has a birthday on the 29th. She has to get a birthday card, that is the main thing and, of course, I sent money because I cannot buy presents for a four year old and sent them. I do not know how many dolls she already has or what…maybe she does not even want toys. I do not know. I sent money and…and I said to the little one, "Money is not really a present, but it will buy you a present." [Beide lachen.] Money is nothing to a child. LSY: Yes, they probably…they do not know what it is. FB: So I explained to her, "You see, money, I know, money is not a present, but it will buy you a present." FB: --oh, meanwhile, in February…yes, my brother went in January, I know now. [Hebt den Zeigefinger.] Because my sister already went in February to England. LSY: She went to England then? FB: --work permit. Now, that is another interesting story, how she got out and I got out. We had friends, particular the boy…Paul…Paul Hamburger. He was a good friend of ours. He was one year older than I and two years below my sister, in my sister’s school. And he was a very gifted boy and played the piano extremely well. And his mother once had a domestic…and this domestic, I do not remember her name even. This house-help…at the time went to England because she saw…first of all, it was harder and harder to get a house…the situation…the money…the financial state in Austria went lower for people to employ. And she had always been with Jewish people. And somebody told her about…the domestic in England was so different, so she went to England to be a domestic in England. So when Hitler came to Austria she activated her…the people she worked with and they found a job. She found a job for Else, the employer in Vienna…to come as a cook into a household in England. LSY: --so when did you leave Vienna? FB: I left Vienna in the same year as Gretel, in 39, but in May. LSY: Do you remember saying goodbye to your mother? She stayed behind, is that right? LSY: --person. He already said goodbye to so many. FB: Yes. He did not want to come to the station. But my aunt and my cousin and our best friends and my mother, of course, came…a group of about seven or eight people came to see me off at the station. And my little cousin was then eleven years old. Just about…in March she was eleven and I left in May. LSY: And at that time you still had the hope that you would see them again or what were you feeling? FB: Well, for me, it was made so much easier because I did not go…I went to my sister. And my sister, as I already said, was always my idol, always. To run to my sister I was willing to run to Timbuktu. And therefore it made my saying goodbye, as hard as it was for my mother, for my little cousin, for my grandmother…my loved grandmother…the other one did not come of course, I mean I went to say goodbye to her but…I…it was easy, because I went to my sister. And I remember in the same compartment right opposite sat an elderly man and his wife and he was Professor Hajekan ENT [ear, nose and throat services] in Vienna’s Allgemeine Krankenhaus and he took my tonsils out. I knew he took my tonsils out. And I told him. And he was so sweet to me. When we came to the last station before the border, Köln, we had a couple of hours break there…and it was four o’clock in the morning and I got out of the station…or he gave me all the…all the sch…the [German] Marks he had. He gave me all of it, which was not very much. Cash! And said: "Buy yourself whatever you like, just spent the money." And it was not all that much. And I went out of the railway station and I had this enormous Kölner Dom in front of me, that black monster, four o’clock in the morning. And there was a kiosk outside the railway station and at the first…I went to that kiosk and bought a bottle of eau de cologne. In Cologne. [Lacht.] Ein Kölnisch Wasser in Köln. I bought a bottle about that big. [Deutet die Größe an.] And there was still some money left and I said, "What can you give me for this money?“ and she gave me a big Bonbonniere. [Deutet die Größe an.] And I was very happy to have something to share with everybody in the compartment. The bottle of eau de cologne was mine, that he gave me as a present, and the Bonbonniere was handed around in the whole compartment, so everybody was happy about that. And the bottle of eau de cologne, the first thing I did, I would gave it to the…to my employee…employer, as a present. And she was very surprised and very pleased that I did that. FB: --yes. Well, I found that it was the right thing to do. FB: What would you like to know next, Lisa? LSY: [Lacht.] So this is how you arrived in England, then, and you were working together with your sister in…Kent? FB: Yes. Well, we were in a coasty area, Kent. And I was there for ten months. We had a good time there because the people were very, very nice. But of course, you see, they did not treat us. We did the job as cook and parlour-house…parlour maid, of course, but we did not wear proper uniform, either. They did not insist, they did not want uniform. They wanted it to be as leger as possible. And another thing…they had two boys. One was already in the army, officer, and the younger boy was in…an intern student in the school for higher, upper-class of the students and army people. And when he came home…he was not very good in Latin…he learned Latin and he was not very good in Arithmetic and the cook gave him tuition, which was an unheard of thing, that the cook should teach Latin and Mathematics to a high school boy. [Beide lachen.] So, of course that added to the status they already knew…my sister came from university, so that was…they were very, very decent to us. And when we were supposed to leave the coastal area as enemy agents, so to speak…Jews as enemy agents…they…he signed a paper, he wanted us to stay, he was guaranteeing that we are harmless refugees etc. It did not help at all. We had to leave. Then we had to go…we went to London, because where could we find another post so quickly? And we were a few months in London and that did not suit us at all, to live on sort of a…to get money, however little it was, without working…Arbeitslosenunterstützung, that did not suit us at all. So we tried looking, so we started looking for employers away from…Midlands sort of thing, to not be costal areas or big cities like Manchester in Liverpool. And we found rather quick…we went to the local library every day, to look up the advertisements. And one day, I almost found myself a job as a nanny to a new-born baby. I had a course in Vienna in Säuglingspflege. And I had already a date to start working and I did not feel sure about it at all. How much do you learn in such a course? And I was going to try it. And then, one day we went to…I was supposed to start on…what date. [Gestikuliert mit der Hand.] We found an advertisement on a farm in Cheshire [Grafschaft im Nordwesten Englands]. They were wanting two girls. One to help on the farm and one to help with two little girls they had. And we applied and immediately got accepted, so I did not have to be the nanny, fortunately, and we very, very fast got away from London because it was no pleasure to be in the Blitz. It was time of the Blitz. It was no pleasure to be in London…to be in the Blitz. Day and night. And spending nights in the underground. I think you read that bit about myself already. LSY: No, I did not read that. FB: No? Well, some people were Germans, had a good sense and took up a house, a house in London. I think it was in South Kensington or somewhere that area. And made it possible for girls like us who suddenly had to leave their employment, had nowhere to go. They took a large house and divided up into bedrooms. There was the big living room was made into really a big living/dining room for all us and their was a big kitchen, it was a big London house. In the basement even. And we were three or four or five girls according to the size of the room, we shared this…these rooms. But there was an Anderson Shelter in the garden, which was not worth anything. If there had been a direct hit, it would not have helped it at all. Not even a direct hit a few houses away with all the blast of it. Yes, well, to cut it a little bit shorter: You get tired of going to shelters all the time. So, then we decided, enough of that useless life, no work, money that is just given out for the mere existence. We could just…cost a pound a week or something for the mere existence. We were left at practically nothing. Except that we had a post office…saving account…out of the small income we had in Kent, it was really pocket money. We were…we had everything covered, of course. Clothes we did not need, we brought with us. So what money we earned there…I earned a pound and a half sterling, which was very little, even then. My sister got two pounds. Later on, I got two pounds and she got three pounds, but that was still very little and yet we saved out of it every time five schillings and another five schillings to the Post Office. So when we came to London, we had a little extra to spend on ourselves for bus fares, because that was the time for me to get to know London. So that is how I got to know or we got to know the museums. We were…later on that was very good because it took a long time for us to get back. I am talking about myself now. For me to get back to London, to get to know the cultural life of London. LSY: --people were nice there as well? FB: Oh, they were lovely people. They were Methodists, religious people. Not overdone, of course. They went to the chapel every Sunday morning and we went with them. And we…I was always singing the…my head off with the hymns. I loved singing the hymns. And we were introduced…they treated us so nicely, we were family. I looked after the two little girls, which were then four and two. Four and two until five and two and a half. It was with them. And my sister was looking after poultry. They had, I think, eight hen-houses…and also the vegetable garden. She was very responsible for the vegetable garden, which was quite extensive and in wartime very, very important, to have all our home-grown vegetables and a couple of fruit trees etc. More than that, even. And whenever necessary she…haymaking and harvesting time, she was also helping in the fields. And I was looking after those two little kids. They were beautiful and I spent my time walking with them. They were teaching me Hebrew…English, in fact. And I used to visit with them at the haymaking and at the fields all together, and the poultries…we went to see the hens and we went…living a farm life with the two children. But I had a very good time there because there were two maids employed on the farm. And they did the washing up, I did not have to do any of that. The farmer’s wife was cooking…was doing all the cooking and the maids were doing – it was a dairy farm –, they were busy in the dairy farm but also they were employed as the house maids. So I had a very good time there. LSY: --and the war was already over? FB: 45, yes. I finished the beginning of 45, the war was over, and I then concentrated on what I am going to do with myself. I was not satisfied to be just a generally trained nurse. I wanted more. So I decided…I wanted to do midwifery. Before, I did another year in chest…I had to give an extra year. In hospitals they were in need of staff. So I was already a staff-nurse, having finished my training. And I went to London Brompton Hospital, which is a hospital for lung diseases and chest surgery. So I was a year there. I went…I worked with world famous people like Professor Brock. He was a Jewish doctor. He once came to Israel as well and I said: "Oh, I know Professor Brock. I had a time in his department in chest surgery. I know Professor Brock." And…but the main part of my training…of my time in Brompton Hospital was in a private wing. I was lucky, you know, I could have been sent somewhere else. In a private wing, where you had medical and surgical patients. I had three…they were all private patients, but one was…four beds in one room and one…and three more private single rooms. And I was working there as a staff-nurse. Again with a world known professor, Price Thomas, who operated the king of England. When he died. And I was there for a year. I did not want to be longer then that. It was not my future in chest…chest diseases. So I heard about Public Health, I was sick and tired of living in hospital. And meanwhile I was very friendly, I did not mention the…I became friendly, real friends with a night sister, the night superintendent when I was a student in Wakefield. And that was a friendship, which was at that time not allowed between a night superintendent and a second year nurse. That was not allowed. But she invited me to her home and nobody could know about that. So, for me, it was another home to go to not having one of my own! So again I was lucky. And I stayed friends with her until she died last February. She came to Israel ten times and I visited every time I could in England. Always…she staying with me, I stayed with her, always about a month or five weeks. So it was great. FB: Oh, a real friendship, yes. It was a real friendship. LSY: I have another question: During the war, did you already get any kind of information what was happening to your family in Vienna, what was happening to the Jews in Europe? LSY: --so you tried to convince this woman that she take her in? FB: Yes, and she…yes, to take her in. She said: "She would not be a…she would be a companion to your little girl. She would teach her the piano, she is so good at it. And could you not take her in as your daughter's companion?" They were so rich, what would it have mattered? And she thought about it and she said: “No, we take a governess for our little girl.” But is that the same as saving a girl that could be a companion to a little girl of ten? No. That was a terrible experience. We tried one or two other things, but…that she was on the…supposed to be on a transport to Australia and it also came to nothing because it was not fast enough! [Hebt die Stimme.] So the poor child was…because of it, it had to be killed. That was a terrible experience. And we felt so…not only useless and helpless, but our conscious was: We did not do enough to safe this child! LSY: And then just after the war, you found out what exactly happened to them? FB: Well, we had connection only with the Red Cross. As much as we could. And my mother always found some different way to get a few words to us. She had a friend in Italy…until it was becoming, too…the woman in Italy said it was getting to complicated. So, it was one disappointment after another. And wiring a few words…we were allowed a certain amount of words to send. And you are wasting so many words on telling them how much you love them etc. etc. How much can you tell in ten…in so many words? And we were allowed…I think one a month…to send one a month and the reply came three months or four months later. It was…the same with it…with Shanghai. They could still write long letters to us. Why could we not…yes, we also wrote to them long letters. Yes, I know, but their letters were longer. Because my father was…as I said already…he had nothing to do, he had no work. My brother found himself one job after another until he got himself quite a good one. In a small factory, for weaving. And I think there were about tweny Chinese girls working in this. And the chief worker wanted to marry my brother. [Lacht.] She was in love with him! Can you imagine? He was a good looking Kerl…fellow, you know. LSY: So you…so just some time after the war, then you found out exactly what had happened to your…where they have been brought? FB: Ja, das…what happened to all…well, we did not really ever find out exactly what happened, but we found out what happened to our grandmother, that I already told…what happened to our aunt, uncle and cousin, I already told you and who else? LSY: Your mother, what happened to your mother? FB: What happened to my mother? We know she was on a transport into death in 42. 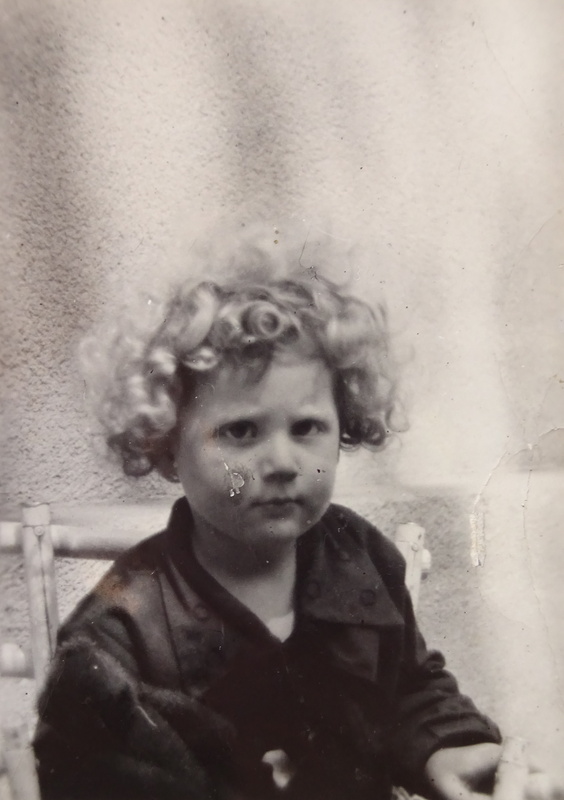 My mother was left alone in Vienna and very short time later she died in Vienna because she was so unhappy having lost both her daughters and the little girl and all of us. That was the end of her. She could not stick it anymore. And she died…simply floated away. It was very hard. It was hard on us, too, because we were far away. But it was not so hard, because we were alive. What could be more important then being alive? And we were alive under very good circumstances. Much better then my brother for example, who had very little to live on. I know in one of the letters he told us: "Sometimes, when I am very, very hungry I take a slice of bread in my pocket and I went into town and went into the butchers shop for example, who had a lovely smell of sausage, and I was looking at the sausages in the window and I enjoyed the smell of the sausages coming out of the shop and I was handling this bread and putting a piece into my mouth, chewing it, thinking I am eating a piece of sausage. It is terrible." And sometimes he found himself a job as a…he was an electrical engineer. But at the beginning stage, he had only just finished. So he did not have very much experience either, yet. But he was an engineer, nevertheless. And he found employment as a technician and he brought home…work home, to wind motors for example. That was a thing that could be easily taught. So he brought motors home so that my father could do homework and get payment for it. For each…piecework. And every time he found some…he was having to work for himself and for my father. And the living conditions were very poor, having to share rooms with other people. It was very bad, so we were so grateful and so thankful that we were saved under such good circumstances and we could not do anything to save others or improve others. LSY: So, you were then…I am coming back to you in London…you were then in the hospital in London. FB: Yes. In Brompton Hospital. FB: --that was another year. And…when did I come to Israel? Well, I was already working a few years in Public Health and we decided, my friend and myself, we decided to buy a house together. We could share buying a house. Her family, her father would help us with the payment. He would not take any money like taking…what do you call it? FB: --yes, exactly. And we pay him month by month and that is what we did. And they came to visit us and we had a bedroom each and we shared the living expenses. It was so great to have a home of our own. Until…there was a car accident, we went to the railway station to bring her parents to stay with us for a holiday. And on the way we were involved in a car accident. It was not our fault at all. It was a…on a steep road down Richmond Hill and…you know England? LSY: Not really. I have just been in London. LSY: --so he was an Israeli? FB: He was Israeli. Not Israeli born, but he came as a child. LSY: And when you went to visit your sister the first time, you liked Israel? Do you remember? FB: Oh, I loved it, yes. I thought it was a wonderful country. But at the time I was not yet thinking of going to Israel, because I had a good life in England as well. I was hoping one of the days I would get married in England, but meanwhile it did not happen. Of my choice it did not happen. LSY: And then you met your future husband? FB: Yes, on the plane we met and that is how we became a couple and about half a year later I came – he was married and he immediately applied for divorce – and I came to Israel. It was almost finished, you know, almost through and as soon as we could, we got married. LSY: You came to Haifa? FB: We came to his sister’s…his sister was living here in Haifa. They had quite a big flat and she gave us a room there until we decided…after we got married…away. We had our own living…accommodations. And that is it. LSY: So how was it for you to start a new life in Israel? Was it difficult? What was easy? FB: Well, I had such a good training…I was a registered nurse…I was registered midwife and I was a Diplom Public Health nurse. So with three diplomas it was not hard to find a job. I simply applied to [unklar] and I was accepted. I was not so difficult, they did not want anything else. For me, they did not have anymore training in Israel. If you came from Romania, or Poland, or whatever country, you had to pass an exam. But not from England. They were only too happy to get English trained people. So that is what it was. FB: --I carried on in midwifery until I knew some English. FB: And then I applied to…they were waiting for me at the Public Health department, really. And I went…got a job and got a…later on, got a supervisor’s job until I went into pension. LSY: And how was it for you to get into the society here, and the culture? FB: Oh, that was very easy. LSY: You felt at home very quickly? LSY: --she was also in Haifa? FB: Yes, and he was a professor at the Technion. So I was in very good company trough my sister. I mean the Technion. And they were all friends…they became friendly with all their friends. It was very easy. Culturally, it was very easy. FB: --well, my husband had…was of course a…also in good company, in Hebrew company of course. And I was friendly with his family and their children and their friends. It was not difficult to get…there was a…one sister was in a…in Kibbutz Ma'agan Micha'el and we often visited there. I got to know their children, it was a good family life. And the other sister also had three children. We visited there very frequently. They lived in…first in Haifa and then in Kiryat Ono and they had a beautiful bungalow there, in Kiryat Ono, with a fruit garden, so…and we met their friends in Kiryat Ono. So culturally it was not difficult. We always had good company. FB: --well, I went to an Ulpan for five weeks. You can imagine how little I learned there. And then they dragged me into the hospital. They heard about me in the Ulpan. The supervisor of came…invited me to…the nursing supervisor invited me to appear at the office on Monday morning and there I was. She was as strict as a…she was a little woman and she says: "You are leaving the Ulpan, you will learn English. You learn Hebrew while you are working and that is it. You are going to start…have an interview with the matron in Rambam Hospital, the chief nurse in Rambam Hospital and that is it. You are going to work in the hospital." So I worked for a very short time in orthopaedics, which I did not like very much at all, because I had a nasty, nasty staff-nurse there. Ward-sister. And she treated me like a new student nurse. Making me do all…minutious little job, like clean the…slews room there. Because the job she gave me was measuring temperatures. You know, it was horrible and I was very dissatisfied with her and they heard that I was a midwife. Again, I was invited to the matron and: "Up with you into the midwifery department!“ And that was it. Until I knew sufficient…sufficient Hebrew to go back to…to Public Health. And there I was in Public Health. Until I became a supervisor and went into pension. FB: So I was never as everybody else. It is difficult. And I was teaching here and I had good positions and high positions. Even so, to be a teacher to Sabres, believe me, is not easy. Because you teach a Sabre one day and she is teaching you back, because she knows it much better than you. That is true. It may not be nice to hear, but that is the…that is a fact. Not all Sabres are alike. And I am sure that you for example who have got German parents, you have a different attitude towards it as well. But in general, in the nursing pools I found that. I was teaching them and they were teaching me back. Because they knew Hebrew better. And that is the situation nowadays. But one of the best decisions I made was to come to live in Isr…live in…now that I am on my one altogether, it was the best decision to live here. Here I am allowed to be myself, behave as I want to be. All my neighbours are English…Hebrew. [Lacht.] Israelis! I will get to it. [Beide lachen.] And that is it. And this is my last home. I am not moving from here. To only one more place and there I do not have to speak English, or Hebrew, or German. Whatever I am going to talk there, underground, will be accepted and that is it. I will find many friends there, I think. And here I have got good friends, especially at the Vatikim. The newcomers here are outsiders to me. I am…no, I am…here and there I accept somebody, who behaves nicely towards me or plays Bridge with us together. Or for any other reason you meet…and Hitamlut, and you like each other. Even of the newest ones. But that is few and far between. FB: --they came the same time as I seventeen years ago…ten years ago, yes. That is already Vatikim, of course. FB: --no, I was…I was divorced from my first husband. I remarried and he died meanwhile and he was already dead when I came here. He was already four years dead. And then I have met another man, who also bought an apartment here and we liked each other. He was German and he was looking for a companion. And I was also looking for a companion to be friends with. And we became very friendly. In the end I decided I might as well live with him and keep this apartment for myself, I may need it. This is what I did. I kept this apartment, but we lived together in a bigger apartment on the 10th floor, and I got to know another family, his family. I was always looking for families, you know, somewhere or other. First in the nursing and then…you know. LSY: Yes, after you lost your own family. FB: Yes. And I had no children of my own. I had my sister’s family, of course, and my family…most of them lived far away and we only met occasionally. So…I was always looking for a family. I have stopped looking for a family now. My sister is dead, her three children are…my two nieces and nephew are very, very good to me. One of the nieces lives here in my previous flat. I looked after it, because I thought when she eventually…she lived thirty years in England and Scotland. It was her plan when she got into pension, she would go into retirement here and not in Scotland or England. She still got her own house in England. But that gives her an extra income here. And that was a good idea. She comes to visit me every Sunday afternoon. And she helps me with some things that I find difficult to do…with papers and so. Bank things, that come in Hebrew. Long letters, that I have no need to read at all. [Winkt ab.] And that is up to date. I do not know that I can tell you anything more. What would you like in addition? LSY: No, I am satisfied. [Beide lachen.] Thank you very much. Wedding photograph of Breitner's parents, Gabriele und Robert Beck, Bratislava 1915. 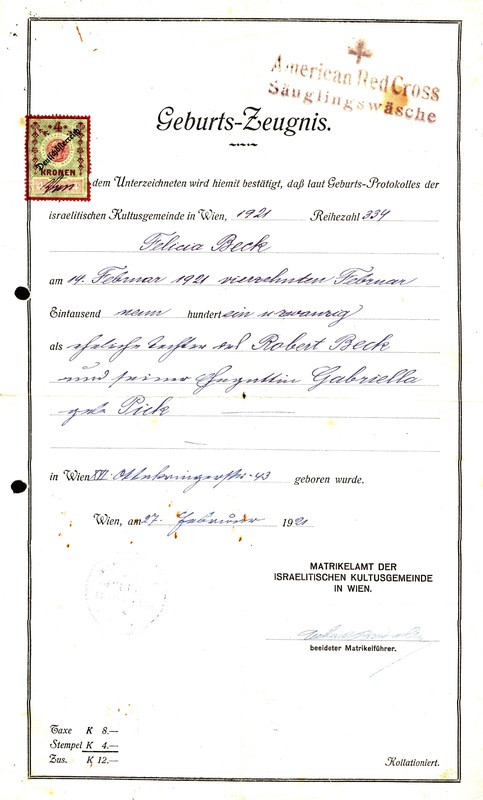 Breitner's birth certificate (born Beck), Vienna 1921. Breitner's cousin Gertrude Ilse Griss, Vienna 1930. She was thirteen when she was deported to Poland with her parents and murdered. 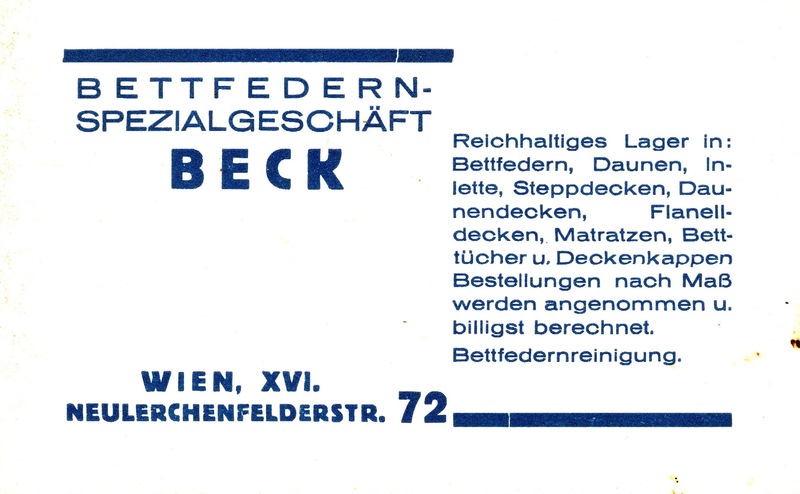 Business card of the shop owned by Breitner's mother, Gabriel Beck, in the 1930s. 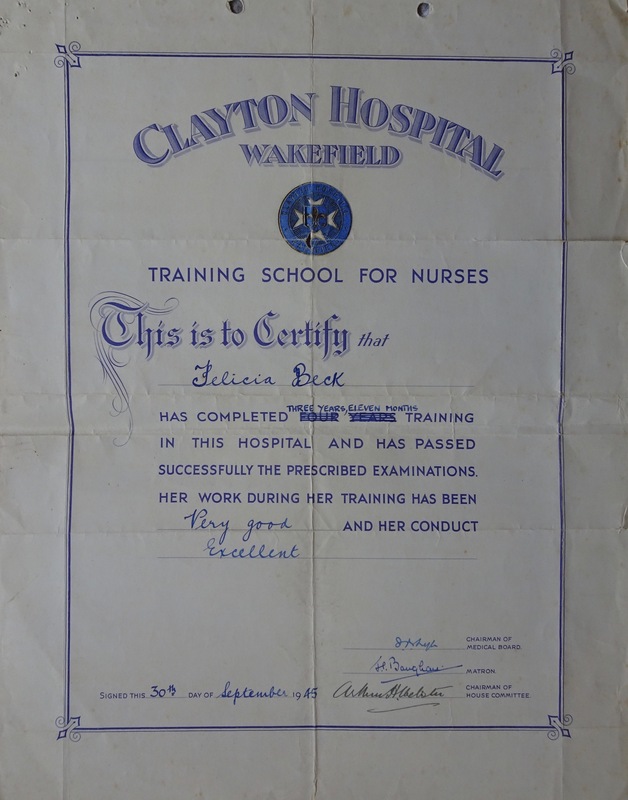 Certificate of completion of training to become a nurse, England 1945. 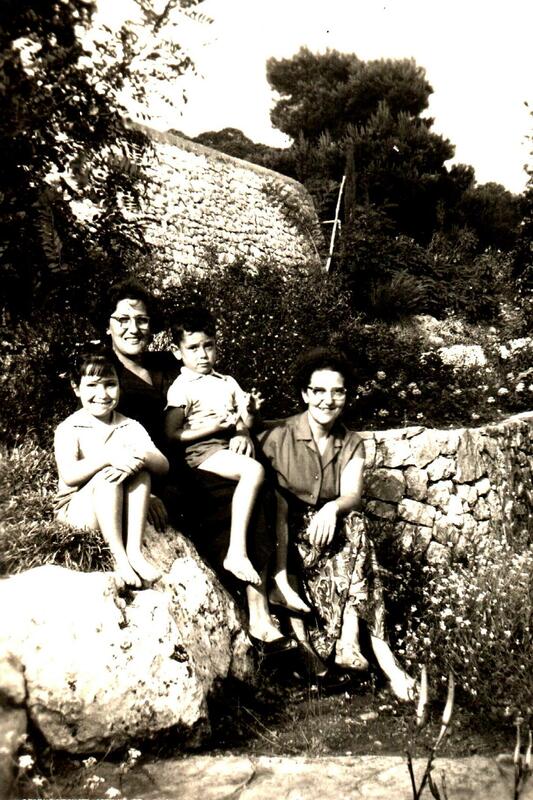 Breitner (on the right) with her sister Margarete and her children, Haifa 1956. Leaving party for Breitner (second from left) before her emigration to Israel, England 1957. 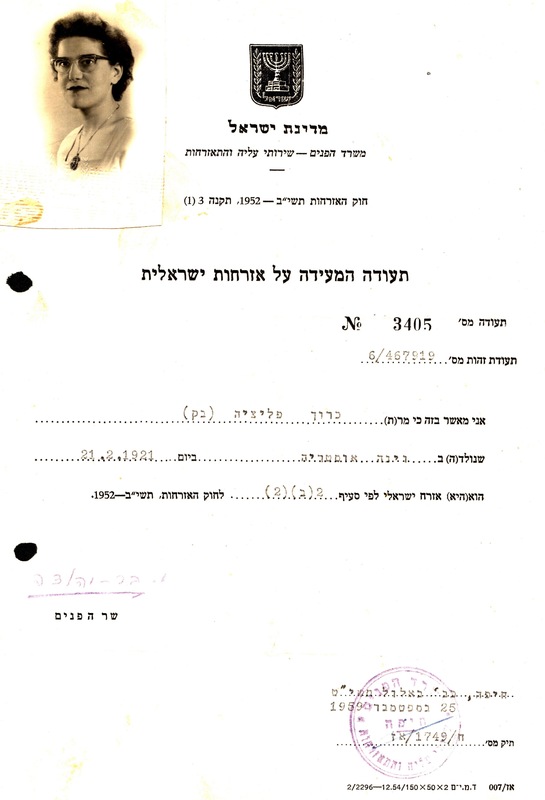 Confirmation of naturalisation as an Israeli citizen, Haifa 1959.